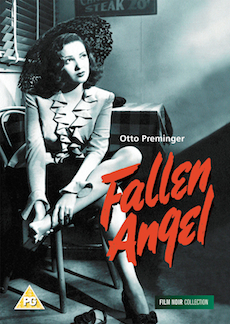 Otto Preminger's classic noir charts the downfall of a philanderer who marries for money, only to turn murder suspect when his true sweetheart is found dead. The film explores, as do many other melodramas of the period such as Mildred Pierce (1945) and Shadow of a Doubt (1943), the attraction exerted by a raffish or unreliable man who brings excitement into the lives of women seemingly trapped in small-town boredom. While apparently reconfirming conventional morality, these films give a glimpse of something more exciting. Biography of story-writer Marty Holland.